Epic Games details how Fortnite (Free) has evolved since it launched on iOS when it was invite only. Since I’ve mentioned invites, you do not need one to play and I mention this again because people still ask for invites. 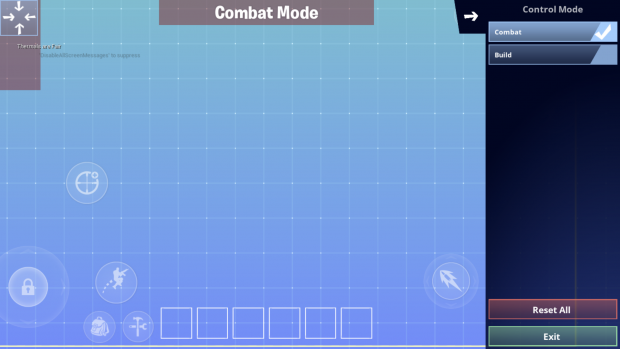 The current state of the mobile version of Fortnite is pretty great but there have been some annoyances that affected me quite a bit. I’m glad that some of these are being addressed right away while a few others were dealt with in recent patches. The most recent update added a customizable HUD. They will be enhancing this further in the future. Voice Chat is coming to mobile and it will be cross platform when it launches. When it comes to gameplay, auto run and firing will be tweaked and there will be toggles for the new control schemes when they are implemented for these things. The biggest issue I have with Fortnite and updates for it is how the patches are delivered. You need to download a small update from the App Store before downloading the actual patch while the game is launched and open on your device screen. I like to put big game updates on download when I put my phone on charge and leave it for an hour or so. The current implementation forces you to keep the game running while the data is being downloaded and this blocks you from doing anything else with your phone or iPad. I’m glad they are addressing this in the next few patches and adding the ability to download content in the background. The other big news is Fortnite is still coming to Android and they are targetting a Summer release. They will have more information in the near future for that version. I look forward to seeing if they do an invite system once again. They will also be adding a battery saver mode that will also be tweaked over time. If you do play it, we have a dedicated channel in our Discord. Make sure to join our Discord channel here to squad up and get some Victory Royales.